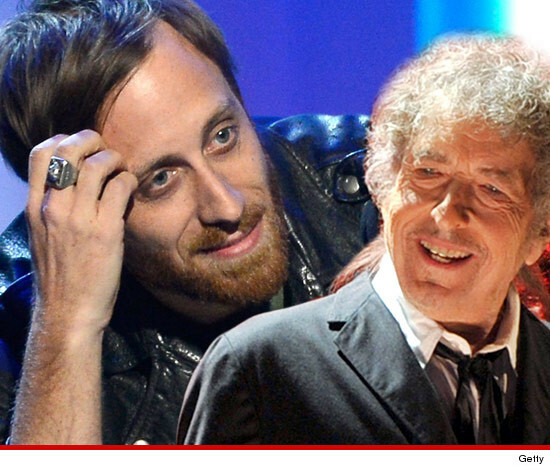 Here comes the story of Bob Dylan's hair ... which apparently belongs to the ex-wife of Black Keys singer Dan Auerbach. Seriously (according to court docs obtained by TMZ). We've learned ... Auerbach's extremely bitter divorce with Stephanie Gonis was finalized this week in Tennessee ... after the warring couple came to terms on splitting up their assets. First, the money: She gets more than $5 million. Plus, she gets the couple's 2012 Toyota Highlander and one of the family homes. 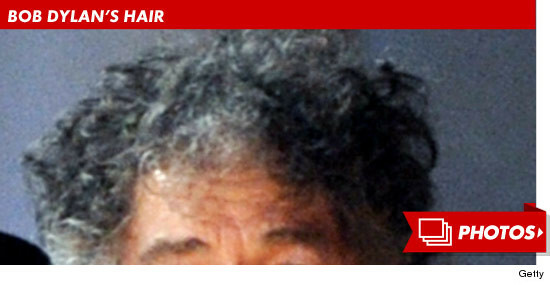 But who cares, because the real story here is BOB DYLAN'S HAIR. According to the divorce docs, the couple owns an asset described as "Bob Dylan Hair." It's unclear how the hair was obtained ... when it was obtained ... if the hair contains any product ... etc. -- but the point is, Dan agreed to part ways with it in the divorce. Translation -- Stephanie, congrats ... you are the owner of a weird freaky piece of music memorabilia!!!! Just kidding. He hasn't called us back yet.